As the Saints, along with the rest of New Orleans and the Northern Gulf Coast, prepare for the impending arrival of TS/Hurricane Isaac, their ability to weather the storm will once again be tested. Although a different type of storm, the dark clouds of the so-called “Bounty Gate” scandal hovers freshly above Who Dat Nation, seeking to destroy the very foundations of hard-fought success of an organization systematically overlooked, belittled, and often defeated. I have to say this whole mess has had me so upset, I was dreading the start of football season; that was until I got to see the boys in black and gold run out onto the field for the HOF Game. Still, my heart is heavy by the fallout from this ludicrous bounty scandal. I don’t want anyone to get me wrong. I am absolutely in favor of player safety first. But I question the validity of a system that can pass down such harsh judgements such as yearlong and multiple game suspensions without having to produce much more than a shred of evidence to bolster their claims. So I’ve heard that the NFL doesn’t have to show its hand. Big deal! But I ask you that if someone accused you of not being truthful and you had evidence to show them false, would you not do it if for no other reason than keep your credibility in tact? I know I would. And it seems to me that any other intelligent person would too, especially when his/her reputation was at stake. So what do I really think about all of this? My biggest issue with this whole thing is timing. If the NFL suspected these players and coaches of such aggregious acts back in 2009, what the heck took them so long to act upon it? Do they really expect us to believe that they warned the Saints to stop it and they didn’t? If that was the case, then how concerned about player safety could they really have been? And the alleged pay-for-injury incentives were allowed to continue for 2010 and 2011? Yeah, they were concerned about player safety alright! That’s ridiculous! Furthermore, who did the Saints defense really knock out anyway? At it’s best back during the team’s successful run for the Superbowl, it was still ranked toward the bottom of the list overall. They weren’t knocking anybody out and didn’t in subsequent seasons. For all the punishment that Brett Favre took even, he still managed to finish his game. For a defense supposedly being paid for cart-offs and knockouts, they certainly failed miserably at it. Hmmm! So the failed act doesn’t excuse the intent; I get that. But how one goes about proving that intent lends heavily toward his/her credibility. Then closely behind all of that drama came the “Spy Gate” mess. Pre-Hurricane Katrina wiretapping and eavesdropping! Really? If it had happened, how were they supposed to prove it in 2012? The Superdome has served as a shelter of last resort and a morgue, been devastated and reborn, shed the old and put on the new. If there was any evidence of wiretapping from 2002 to 2004 as claimed, then it was washed away during Katrina. What does one thing have to do with the other? Maybe nothing, but perhaps everything. For me, I wonder if Superbowl 47 was being played anywhere other than the city of New Orleans, would any of this even be an issue? Before you snicker and call it ridiculous, just think about it. It would be a monumentally historic feat for the Saints to play in the Superbowl in their own house. Not even the powerhouses of old can boast that. According to Answers.com, there has never been a team to play a Super Bowl on their home field. In fact, the closest times were Super Bowl XIV when the Pittsburgh Steelers beat the Los Angeles Rams at the Rose Bowl in Pasadena and Super Bowl XIX when the San Francisco 49ers beat the Miami Dolphins at Stanford Stadium. If the Saints could pull off the seemingly impossible, they would rewrite the history books and be the first to accomplish something that many great teams before them were never able to do. That’s a big deal considering there are still many out there who continue to doubt the validity of the Saints as being one of the premiere teams in the NFL. For whatever reason, New Orleans is often doubted despite the success the team has had since the arrival of Sean Payton and Drew Brees. Let’s face it, they’re not a favorite outside of Who Dat Nation. The skeptics are quick to point out what’s wrong rather than what’s strong about the team. I can even remember that when they won the NFC Championship Game against the Vikings, some even went as far as to say that the “better team” did not win that game. For a team that was never really taken seriously as a legitimate contender, the Saints have overcome adversity and commanded the attention of the football world. They’ve proven year after year that they are legitimate condenders who can step on the field and play toe to toe with any team. They had finally silenced their critics. But what did the critics do? They just invented something else to talk about. And in my opinion, that’s where all this venom is coming from. There are certain NFL teams that some would consider more economically viable to be the first team to play a Superbowl on its own field than the Saints would be. There would also be other incentives for such an accomplishment, not to mention bragging rights forever! So let’s just say there are other teams certain ones would rather see make this history, not the Saints. In a profession where brutality brews fear and pain is worn like a badge of honor, a lot is sure being made out of phantom intent. Prior to the hullabaloo about all of this stuff, certain high-profile defensive players have boasted about being coached to “knock out the head and the body will fall” and at least one coach, Jim Schwartz of the Detroit Lions, has stated that his team has employed pay per performance bonuses. Granted, he was quick to point out that the bonuses weren’t for injuring players like what the Saints are accused of, I ask what’s the difference really? The harder a player is hit, the more likely it is that someone will get hurt. But do you see anyone investigating that statement by Schwartz? I think not. 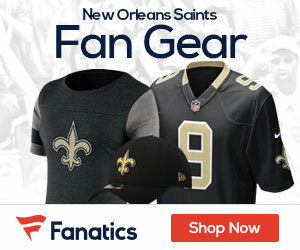 The yearlong suspensions of head coach Sean Payton and defensive general, Jonathan Vilma weren’t merely to set an example for other potential violators as claimed; it was to break the team mentally. Kill the head, the body will fall. None of us want player safety to take a back seat to who we choose to cheer for on game day; that’s not what I’m saying. But the root of this whole mess is simply ridiculous. We’re all interested in the truth, whether it’s in our team’s favor or not. If the allegations are true, just show us the proof. As fans of the game, that’s all we ask.